Keep your ratings when moving your itunes collection! Question/Statement: Moving your itunes music from one computer to another can be a pain in the neck. Copying the music maybe easy but keeping your song ratings seems almost impossible. There is a certain way that you can do this but it is very complicated. And no one likes complicated stuff! Isn’t that correct? Last week, I was moving my itunes collection and I found a way that you can keep your ratings when moving your music collection. It is actually quite simple. Answer/Solution: You can maintain your ratings by creating your five play lists. For example, 1 star, 2 star, etc. To make it more easier, create 4 smart play lists according to your ratings. This method will work because itunes can save your play lists when moving your library. But remember, you will have to copy the play lists manually (which is situated in the itunes library folder) to your new computer. 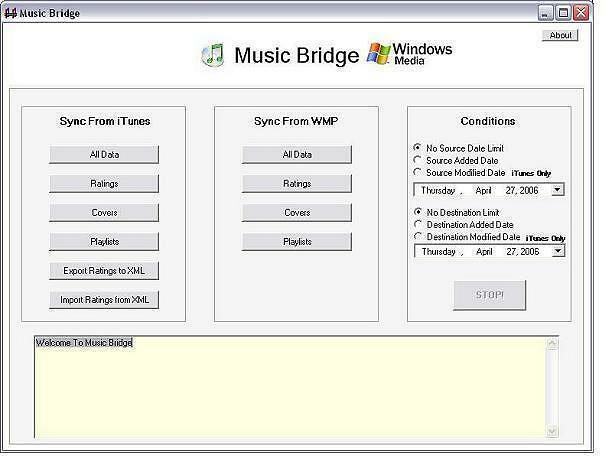 Update – You can now download a small program called ‘Music Bridge’ to sync your ratings and song info! Click HERE for more information.